Lately I’ve been experimenting with Lemon Curd and I’m more convinced than ever that lemon curd is in a league all of its own. Lemon curd is not a pie filling nor is it a custard. Rather, in baking parlance, it is more of a cream in which milk or dairy has been substituted for lemon juice—or any other fruit for that matter—then further fortified by the addition of butter. Its luscious, tangy, creaminess makes everything better: savored as an accompaniment with fresh fruit, dabbed on muffins or scones, and as a brilliant topping or filling for cookies, cakes and tarts. Traditionally lemon curd is made with egg yolks, lemon juice, sugar, and varying degrees of butter that are all cooked until thick and creamy. 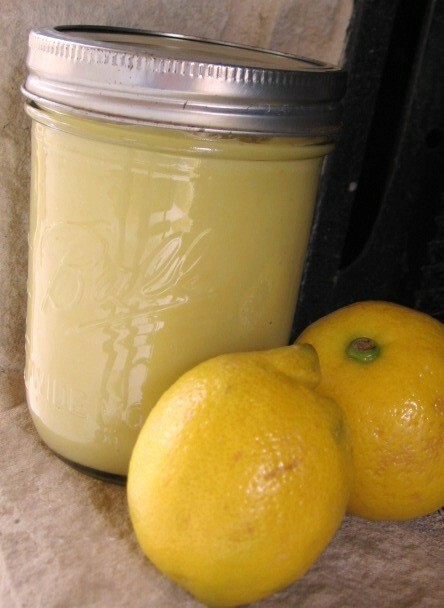 In some circles lemon curd preparation is even regarded as challenging—mostly due to egg yolks reputation for unexpectedly curdling over excessive heat. Perhaps that is why a gift of lemon curd ranks high as a housewarming or hostess gift. 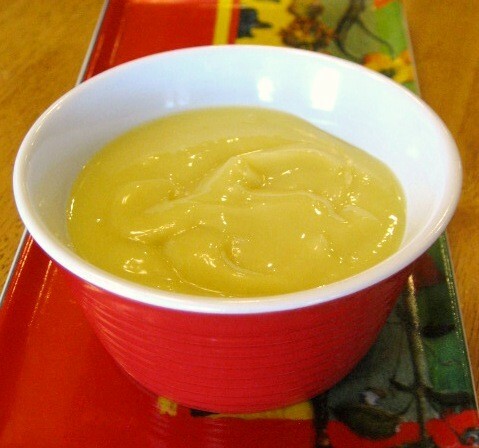 Here’s my solution to the lemon curd dilemma: a light, easy curd that uses whole eggs rather than only egg yolks. The inclusion of the egg whites helps to make a more forgiving curd—one where a double boiler is not required, and is far less likely to curdle from overheating. If you tend to use more egg whites than yolks in your cooking, this is also a great opportunity to put those extra yolks to work. For a richer, deeper yellow curd, start with 3 large eggs and include the extra egg yolks. In a medium saucepan, whisk together the lemon juice, sugar, and corn syrup. Add the lemon zest, salt, and the chunks of butter. Place the pan over medium low heat, stirring with a spatula until mixture begins to thicken and barely reaches a simmer; a few bubbles will form on the edges of pan. In a medium bowl, whisk the eggs, and then beat in about 1/3 cup of the hot lemon mixture to temper the eggs. Whisk the egg mixture into the pan mixture; continue whisking over medium-low heat until the curd is thick and a few small bubbles surface on edges, about 3 minutes. Do not boil. Strain the curd into storage container and cover the surface with plastic wrap to avoid skin forming. Chill well. Yield: about 2 cups. It will keep 3 weeks or longer if stored well sealed in the refrigerator.